The island of Gigha is a small gem, the most southerly of the true Hebridean islands, lying just off Tayinloan on Scotland's Kintyre peninsula. Gigha's good harbours, fertile land, mild climate and strategically useful position have given it a fascinating history.Catherine Czerkawska relates the sometimes turbulent story of the people of Gigha, from the settlers of prehistoric times, through successive incomers including the Celts, the Vikings, and the McNeill lords of this island. 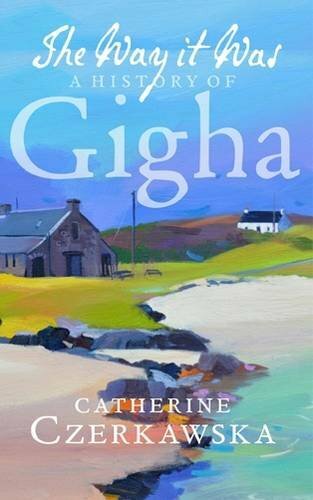 A few years ago Gigha was the subject of the largest community buyout in British history, and she brings the story up to date, in examining the relationship between a contemporary island community and its own rich past. The author, like so many people, fell helplessly in love at first sight with Gigha and returns to it time and again. This book explores just what it is that makes the island such an enchanting place. Part of our Scottish Island Biography selection for the summer.